sometimes you’ve just got to…..
he returned before the postcard made it here which is often the case with mail across the pond. when the card arrived, i thought to myself, “yep…..that’s me all over.” i like to believe that the guy in the photo eventually straightened out and landed on his feet. sometimes stuff hits the mark. ben did it with this card. 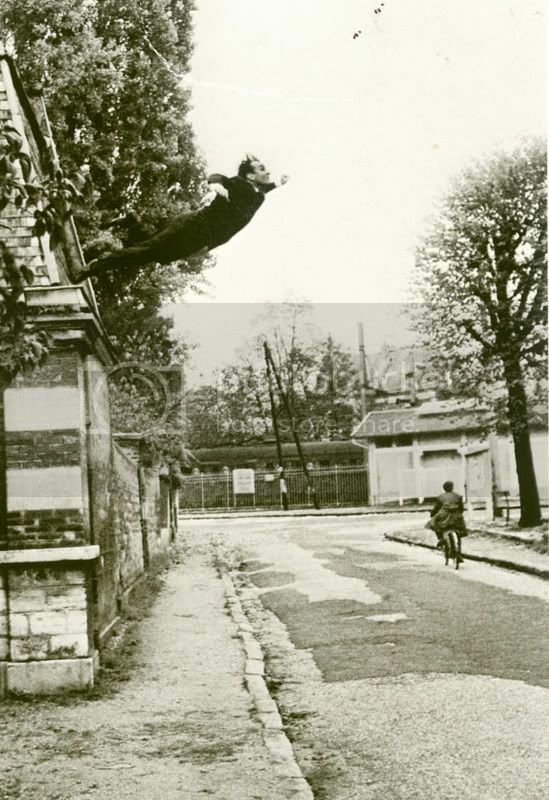 One Response to sometimes you’ve just got to…..
That postcard is of Yves Klein, a french artist, in 1960. He had people convinced for a long time that the photo was real.